Doctor Who’s 7th Doctor (and Radagast the Brown from The Hobbit film trilogy) was recently interviewed and asked the same question every former surviving Doctor, Companion, and overall former cast member of past Doctor Who series has been asked: what do you think of the idea of The Doctor regenerating into a woman? He answers it brilliantly, articulating it better than I have been able to up to this point. 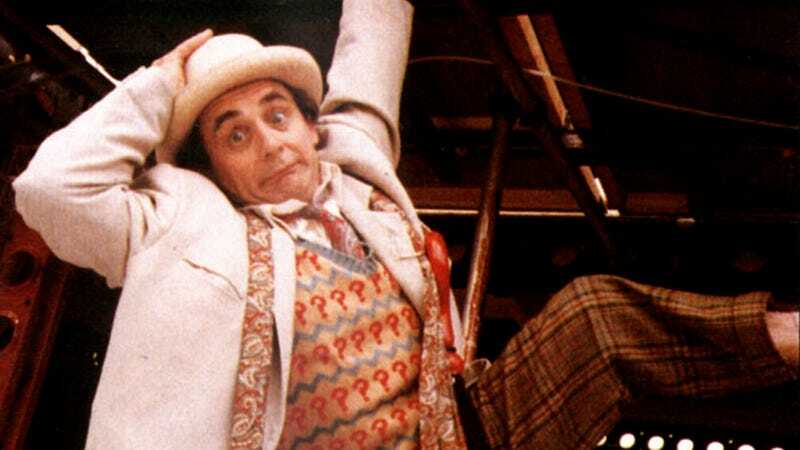 The Doctor, on the other hand, has a certain way he likes to be; overall he doesn’t have a lot of control over the specific details of regens, but the show has locked in on him being male for 50+ years now. The only times he’s “cheated” death have been when he turned himself briefly human to hide from assassins (“The Family of Blood/Human Nature” 2-parter with the 10th Doctor) and of course the Time Lords giving him crack energy (sorry... “energy through a crack”) to give him a whole new set of regenerations. Ultimately, his personal moral code has kept him from doing anything else too extreme. Ultimately, there’s nothing in the show canon to suggest (until recently, and it felt like massive fan service on Moffat’s part) that he would ever regenerate into a woman (hell, even Smith as the newly regenerated 11th Doctor’s initial reaction to a brief moment of wondering if he had regenerated into a girl was met with a reaction of almost horror on his part: check it on the vid at 1:33). Add to all of that what Sylvester has articulated in the linked interview above about the overall character himself, and I think I’ve got a solid argument here. As Sylvester put it: “where would we draw the line?” Where indeed, sir... where indeed. ...has left the building. Please, by all means, continue to drop pithy insults and to completely misinterpret what I wrote, but I won’t waste time listening to people spit venom at me. Now? Well… now it’s easier to just insult someone rather than work to persuade them. I’m done. Honestly, this is just so sad I can’t even believe it.